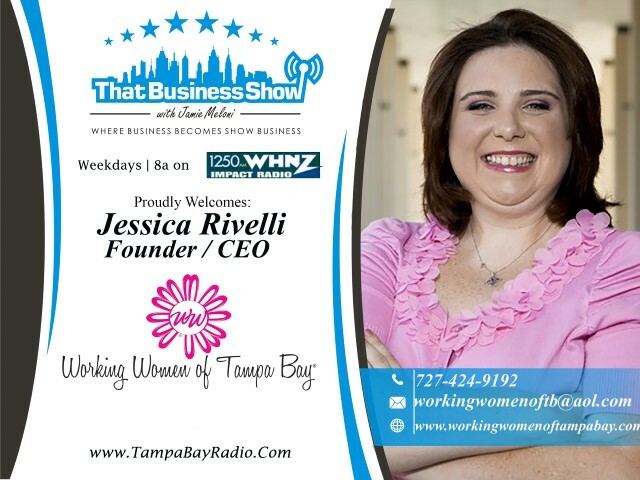 Today we featured #WorkingWomenWednesdays on #ThatBusinessShow airing weekday mornings at 8 a.m. on 1250 WHNZ. Be sure to visit http://www.workingwomenconference.com and get your tickets for the upcoming Working Women Conference being held September 10th and 11th at the Straz Center and use promo code Meloni2015 for a ten percent discount off those tickets. 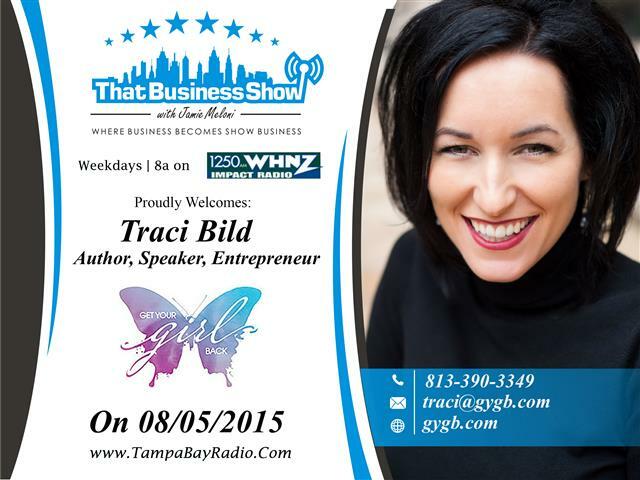 My first guest today was Traci Bild, lifelong entrepreneur, speaker and author of her recently released book, Get Your Girl Back. This book and movement as she calls it, was inspired a few years ago when she found love letters in her closet to her husband that at first she thought were written by a mistress, but she came to realize that it was she that had written the letters and she had forgotten how loving and passionate she was at the beginning of their relationship. Her focus on her career had shifted their relationship and had removed the love and passion and inspired Get Your Girl Back. In this book Traci speaks of how women can build a stronger work-life balance by coming to the realization that they cannot have it all and that they must make decisions to choose between what is priority and what is not to balance their work and life. This book also appeals to the millennial generation and she speaks of how social media has left many feeling trapped and unfulfilled in their relationships. This is a great segment for women who feel their relationship is struggling with the demands of their professional career and this book is an excellent resource for ways to separate the two. Traci is also the keynote speaker at the upcoming Working Women Conference, so be sure to get your tickets at http://www.workingwomenconference.com and hear her speak more on this topic. Check out http://www.gygb.com for more about Traci and her book and this inspirational movement. 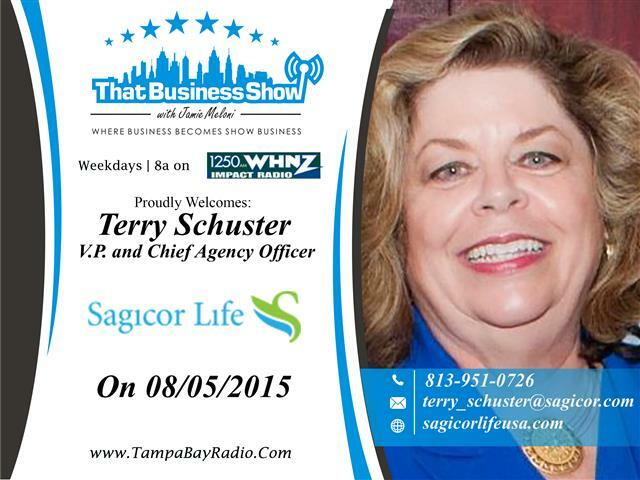 My second guest on the program was Terry Schuster Vice President and Chief Agency Officer with Sagicor Life Agency. Terry and Sagicor Life specialize solely in the sale of life insurance policies and she gives some great information on the segment on the value of these policies. We open the segment with a brief discussion of who life insurance policies are for and when they should be purchased. She points out that life insurance is a necessity in life and also that September is life insurance Awareness Month. She speaks in great detail that life insurance is not just about death but that they can also be utilized as a savings plan and also as a tax savings tool. By purchasing life insurance policies at a young age a person can build up a policy with substantial value and thus save many dollars versus purchasing a life insurance policy when they get older with increased premiums. We talked about term policies as well as permanent policies and also she elaborates on the fact that the two can be purchased together. In the closing segment Terry reminds us of the importance of having knowledge of where the policies asset map is, in the unfortunate event that a claim is needed and to make the claims process go smoothly. Terry is also a speaker with the Working Women of Tampa Bay Networking group and she will be speaking on September 30th, part of their Driven To Succeed series, learn more at http://www.WorkingwomenofTampabay.com. Reach out to Terry at 813-951-0726 or email Terry_Schuster@sagicor.com for more information and visit http://www.sagicorlifeusa.com for more information. This entry was posted in Entrepreneurship and Business and tagged get your girl back, life insurance, working women of tampa bay. Bookmark the permalink.